These months invite us to feel gratitude for shelter, warmth and connection. We may even pull back and look at what is essential to our daily routines, especially when winter challenges our mobility or regular, driven schedules. Since our powerful Yamim Noraim this past fall, I keep thinking of the VAV consciousness we explored as it relates to Shabbat and the rest of the week. Rabbi Yael and I have been looking at our own personal and communal Shabbat practices and are examining Mishkan’s minhagim (norms and policies) with the Spiritual Life council, Mishkan board, Education committee and others. We have even begun a conversation about when we hold Hebrew school, which was originally offered on Shabbat for most of Mishkan’s history and is now held on Sundays. What is gained and what is lost when Shabbat and our own shared customs become fuzzy, unknown to most, are unobserved and is, at times, similar to all other days of the week? The Talmud (Shabbat 10b) states that Shabbat was a precious treasure gifted to us. We know from Bereysheet/Genesis 2:1, the Day the “Generator of Creation” paused to re-ensoul and integrate all that had been created. Shabbat was dedicated to building a relationship with the Divine, and reconnecting with the spiritual after a week of laboring in the physical world. One of the greatest benefits of Shabbat has always been family and community. down lives in an increasingly hectic world. Others are advocating in a creative and egalitarian context for the deeper value of Shabbat as it makes for a healthier and more connected life. Rabbi Yael and I recently met with our Spiritual Life Council, chaired by Steve Jones with support from Board Member Alan Tuttle, to review our Shabbat minhagim (customs around Shabbat practice and services), which have existed unpublicized for a number of years. Our intention is to re-engage our community in the ideas, practices, and customs of Shabbat in our communal setting. These will be updated and posted on the third floor, website and other locations. There are also a number of Shabbat policies we developed as a community over the years which are public on our website, and articulate the process and values-set behind our policies. Please take a look and familiarize yourself with them. Here at Mishkan Shalom, all our services are participatory and egalitarian. We hold Shabbat and Holiday services year-round and Rosh Hodesh Celebrations September through June, with summer Shabbat-Under-the-Stars. We offer our soul-centered, musical Kabbalat Shabbat, held every other Friday evening at 7:30 pm unless otherwise noted. Once-a-month Community Potluck Dinners begin at 5:45 p.m., preceding Kabbalat Shabbat services. Torah Study is held every Shabbat morning from 9:00 - 10:00 a.m., led by clergy and members of the community, organized by Mishkan member Eugene Sotirescu. Seasoned Torah study facilitators and first-timers alike are all welcome to lead! For more information, or to sign-up, write Eugene at torahstudy@mishkan.org. Shabbat Morning Services begin at 10:00 a.m., led by myself and/or Rabbi Yael Levy, our rabbinic intern Julie Benioff and additional service leaders throughout the year. Dynamic, engaging services mix and alternate a grounding in Jewish liturgical tradition with music, meditation, chant, study, issue-oriented guest speakers, b'nai mitzvah and special themes. Tot Shabbat is a twice-monthly service for children under 5 and their grown-ups, offered by Rivka Jarosh. Tot Shabbat begins at 9:00 a.m or at other times on Shabbat. Shabbat Family Program, once-monthly, from 11:00 a.m. to noon, during the Torah service or during Kabbalat Shabbat potluck or services on Friday evenings, actively explores relevant lessons of the week's Torah portion and select Shabbat prayers with movement, imagination, discussion, art and music. For parents and adult caregivers along with their children; led by Rabbinic Intern Julie Benioff. Celebrations! offers family education workshops designed for children who have special needs, their parents and siblings, meeting on ten Shabbat mornings throughout the year with additional gatherings for holidays. Spiritual Direction Circles are offered monthly, promptly from 9:00-9:55 a.m., led by trained Spiritual Directors Andrea Madden and Meredith Barber. We have also added a monthly Shabbat afternoon study and ritual gathering “Pause and Refresh Your Soul” that Rabbi Simcha and I host in our home that has been received with energy and consistent participation. 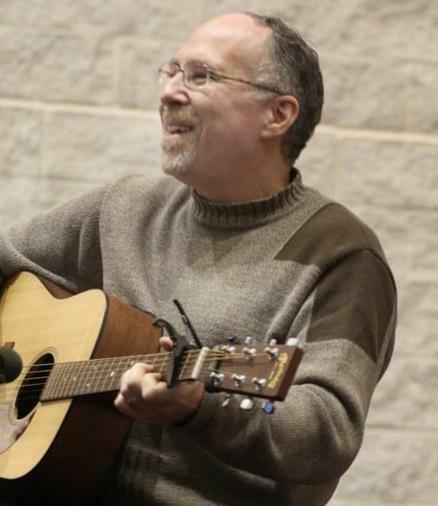 There are occasionally life-long learning opportunities on Shabbat, or a prayerful nature walk with Steve Jones, and additional ideas percolating for celebration, spiritual life, and connection. I invite you all to engage in the discussion of what Shabbat is for you in your life, your home, here at Mishkan Shalom and what Shabbat consciousness and practice might be for you. I would be happy to talk with you about what these thoughts and questions raise and support you in your personal and household journey toward a meaningful Shabbat experience. I experience the idea as well as the observance of Shabbat in any form, as one of the most powerful offerings we bring to the world as a Jewish community, especially in the times we live in. I leave you with a short video as a taste of Shabbat for any day of the week! Hope to see you on Shabbat soon!